Looks super cool against my white board! Well made and easy to install. 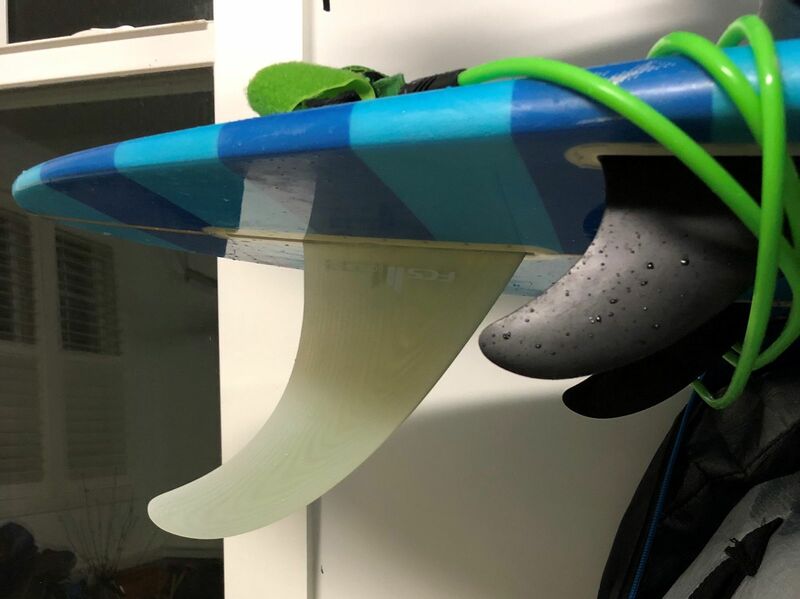 Took out the old fin with the screw and plate and popped this fin in with little effort and in seconds. Had it in the water once and was happy with performance on a crappy day. Waiting for a nice day to really put it to the test.